Car owners know the importance of taking care of their vehicle’s engines, transmissions, tires and other mechanical parts of a car by making sure they use the best fuel and products to keep them running right. But when it comes to maintaining and caring your car’s exterior, many people cut corners and end up actually harming their paint job. 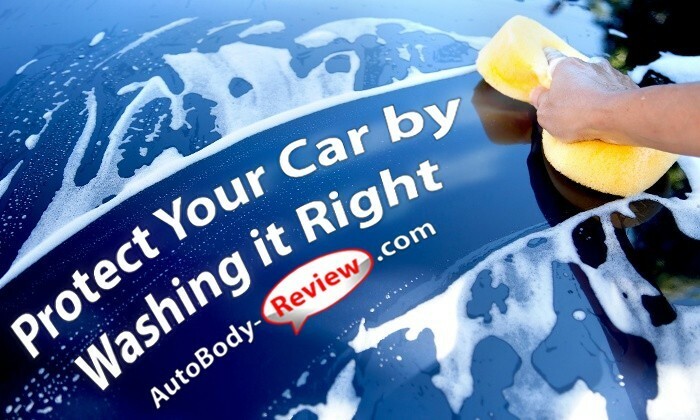 Here are some simple but important steps to protect your car’s paint job whenever you wash it yourself. Tools and supplies: Don’t just grab an old bucket and some rags to wash your car. Use a nice, big sponge and a clean bucket. There are also mitts made out of cotton that are designed just for washing cars since hand washing is the best way to clean your car. In addition you get a great workout while giving the exterior paint surface an overall cleaning. After washing any vehicle, the water will begin to evaporate and that’s when you want to almost immediately use a rubber–blade squeegee. This will gently remove the water that will otherwise deposit dirt and harmful minerals. Make sure your car is dried completely after washing in order to remove those water marks that can cause havoc on your paint down the road. Soap: More than 60% of all car owners believe that it’s fine to use dish washing detergent when they wash their own car. Dish washing detergent may clean your car, yes—but it will also completely strip off the wax surface that coats and protects the car’s paint job from a multiple of small stains, nicks and scratches. 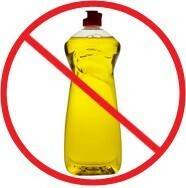 This also includes never using laundry soap or any other kind of abrasive cleaner, such as Ajax or Comet, on your car. Always use a special carwash solution that has been manufactured specifically to maintain a car’s paint surface. 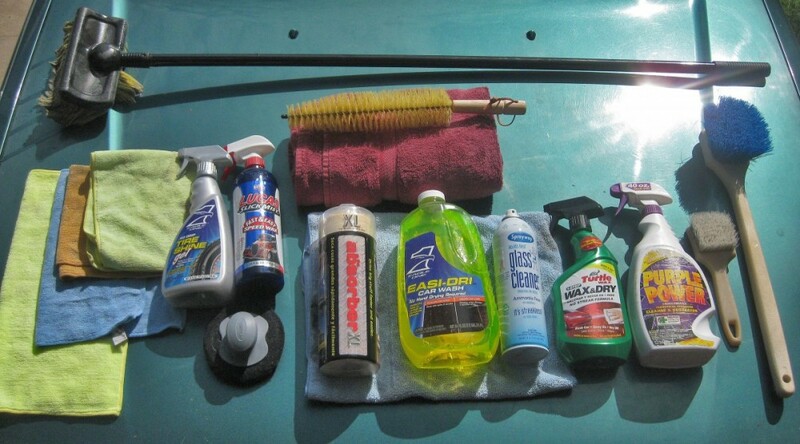 Polishes and cleaners: Follow the directions carefully on any polishes and cleaners that you purchase for your car. Polishes and cleaners are designed to be used before you wax your car. 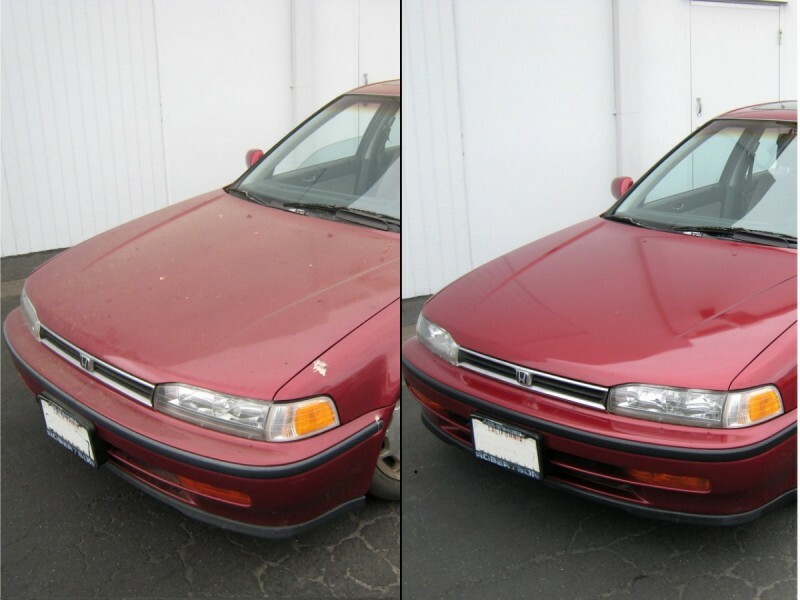 If you use anything on your car’s surface in the wrong order, you may cause damage to your paint surface. So, be familiar with these products before application, and read the directions carefully before you put anything on your car! Wax: In order to have your car’s paint shining for the long run, waxing after washing is imperative. The wax will help to prevent damage to the paint from harmful elements and will seal it by giving it that necessary protective coat. 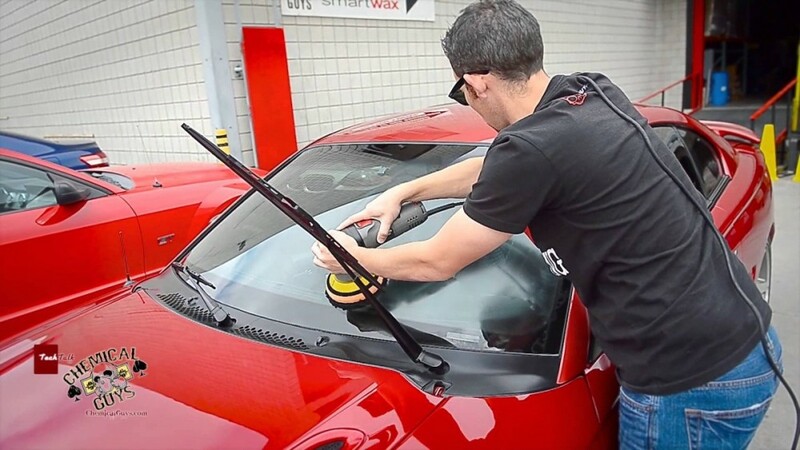 Research the type of wax you need to use for your specific car paint finish, because there are a wide range of options out there. Some waxes are sealants and every product will have its own specific purpose, so check with your manufacturer or auto dealer. Waxes can be either in paste or liquid form. The professional detailers will apply two coats of wax, allowing the second coat to cover any areas that may have been missed. The wax will wear off after several months, so a good rule of thumb is to wax your car at the beginning of every season. It does not matter if you have a Tesla or a Hyundai. Everyone’s car is like a member of their family, so treat it right by following these simple steps. Keep your vehicle sparkling and happy, because it always seems to run better when it’s clean! Everything was taken care of smoothly and fast to my satisfaction!